SmartHub is a great way to manage your 3 Rivers account online. Pay your bill, view your account balance, set up automatic payments, print past bills and more. But you don’t have to pay your bill through SmartHub to take advantage of options and settings that can make your life easier. Through SmartHub, you can sign up to get notifications when there is a planned service outage—by email, text or phone recording! SmartHub also lets you manage your account in other ways—update personal info, receive payment confirmation, change privacy settings and more! A mobile app is also available. Bill is due on the 23rd day of the month. 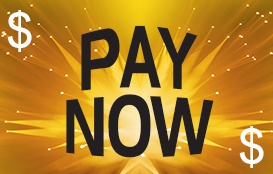 Your bill will be subject to a late fee of $10 if not paid by 5 p.m. the 23rd day of each month. If you have not signed up for SmartHub, you can use the "Pay Now" link below to make a one-time payment. 3 Rivers Communications bill and never worry about missing a bill again. You can set up recurring payments from your checking account, savings account or credit card. Log into 3 Rivers SmartHub site. If you have not yet set up a login, you may set one up from this page. You will need a copy of your last 3 Rivers billing statement to set up billing through SmartHub. Once logged in, click on Billing Payments> Auto Pay Program links and click the Sign Up for Auto Pay hyperlink. Auto Payments will be made on or near the 10th of each month. Call our secure payment number at 467-4010 or 1-888-817-3890 and follow the prompts. Be sure to have a copy of your bill, along with your credit card or checking/savings account information handy when you call.